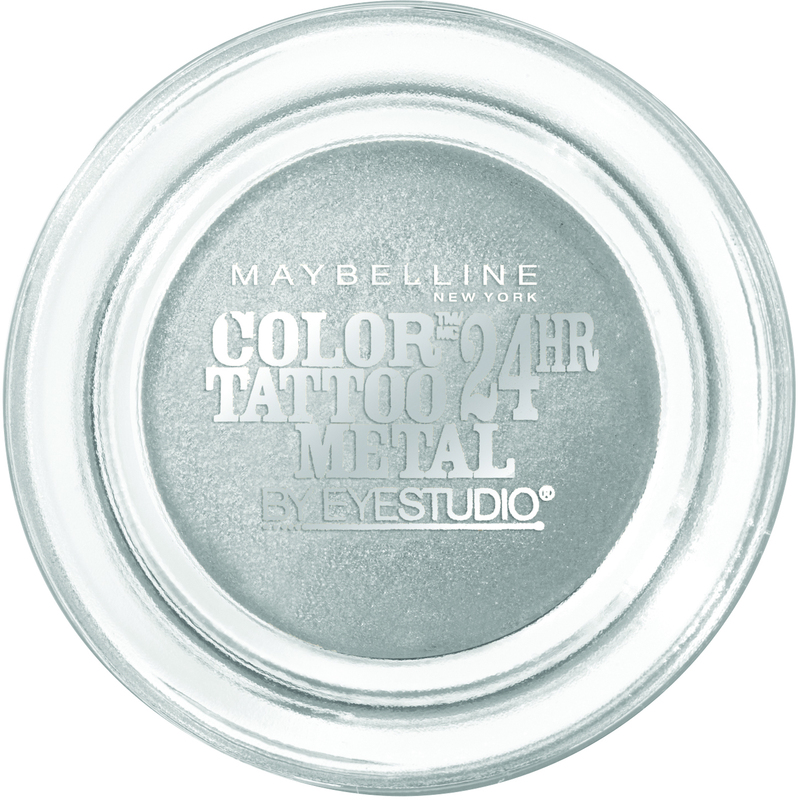 Maybelline New York EyeStudio Color Tattoo 24H Metal Eye Shadow is a metallic eye shadow with an intense shine finish. The unique formula locks in colour and resists water and creasing for up to 24 hours. Available in two shades: Inked in Pink and Barely Branded. I have had a few of these over the years and found the formula has changed or they differ between each color. I had a light pink that was gorgeous and applied like a dream but i also had a light gold that was powdery and didn't apply well at all. I had to throw it away as it was unusable. I think they are ok as they are more affordable that the MAC paint pot. I found mine dried out quickly and i had only used it a couple of times. Im sure there is a way i can bring it back to life but i haven't tried that yet. These are good as a base or as a lid color. I wouldn't say they blend seamlessly so i always have a transition color applied first before i go in with this product. This formula is very creamy so it is best to apply it to your eye lid with your finger. I got the colour barely branded which is a light gold/beige colour. It is not very dark and it is shimmery. It is basically a creamy highlighter. I did find the product quite hard to blend into my eye lid. I put an eye primer base on before this product yet it still did not blend properly giving a dried out look. Overall I was not impressed by the product not blending well with brush or fingers as it gave a dried out look. I had purchased one of the 24HR Leather in Vintage Plum and I loved the color although I found it pretty tricky to blend. I was wanting a goldish eyeshadow so when I saw these I though I'd give them a go so. I almost got the cream gel in Bold Gold but changed my mind at the last last minute and got Barely Branded. I'm so glad I did. I love the color! It's quite subtle and more champagne coloured whereas I think the gold would have been too yellow for me. The shimmer is subtle but really makes my blue eyes pop. And the metallics are much easier to blend than the leather ones. I apply with my finger and then powder over the top to hold it in place. It's not amazing staying power but i find it good enough and I love the color so much that i'm happy to reapply when necessary. I wish this preformed well like all the other reviews. The colours a nice but this is not a product that works on my eyelids. After a few hours it badly creases and almost disappears. I have tried applying on top of an eye shadow primer and although it lasts a little longer, it still creases and disappears.. I need to set it with powder and can only use it as a base product. Which is a shame considering how pretty the colours are. Setting with an eyeshadow helps with longevity. But I don't think this works well if you have very oily eye lids. If this does not crease on you, these are great for a quick all over the lid application. I purchased the Maybelline New York Eye Studio Color Tattoo 24H Metal Eyeshadow by mistake thinking I was purchasing the 24H Leather Eyeshadow. The eyeshadow comes in a small glass pot with a black screw-on lid. The colour of the eyeshadow can easily be seen through the bottom of the glass pot without having to open it up. I bought the shade ‘Barely Branded’ which looked like a creamy beige or maybe champagne and as soon as I applied it I could see shimmer, which I don’t like at all on my eyes. The colour is very pigmented, but it was intensified because the cream highlighted every crease on my eye lid. So I used a different eye primer which seemed to do the trick because the creases weren’t as noticeable but I still wasn’t happy with the look. No one wants crepey looking eyes. I now use this eyeshadow sparingly with just the smallest dab on the middle of my eyelid but away from the crease, and also in the corner of my eyes. This gives just enough pop to open up my eyes. And, I’ve also used it as an eyeliner. The eyeshadow has a smooth, creamy consistency but it dries very quickly so I have to work quickly to apply it. The staying power is good and the eye showdown feels comfortable and hasn’t caused any irritation. There’s nothing wrong with the eye shadow, it’s just that I purchased the wrong one for my needs. My favourite is the 24H Leather in the same range, and I am yet to try the 24H Eye Shadow. I really really enjoy the shade inked pink! I have swatched all of the other colours and they look like pigmented and shimmery goodness! The application is really easy for a quick job look i will just apply the shade with my finger. Because I have oily skin and my eyelids get oily too it is best for me to set it with a powder to make sure it lasts the whole day. I've have these in both barely branded and inked in pink and have been using them for years without them drying out. The work perfectly as a standalone shadow but also make a great base for regular powder shadows especially ones that are a little sheer and sparkly. The have a lovely shimmer and are great for daytime use but I find that they aren't quite rich enough for a lot of night looks especially once you start using darker shadows in your crease. The product is quite hard in the jar and so you need to work your finger on it to get a decent amount but it applies really smooth and definitely doesn't budge. I love these. Definitely my favorite Maybelline eyeshadows and one of my favorite drugstore items. This is a must-have! They are so pigmented and easy to use. These eyeshadows are very blendable and not powdery at all. They are very smooth and buttery. My favorite shade is Pink Gold. I love using it when I'm doing a cut-crease. IT can look very soft but when you pack it on it's beautiful and has a gorgeous metallic finish. The glitter is not chunky and looks very classy. The shade range is huge and I hope to try all of them. Use setting spray on the brush if you want these to look more blinding. I bought mine in barely branded due to it being a cult favourite on Youtube and social media. The packaging is nice, a standard little screw top glass jar. The product is a cream, but it is quite firm, you need to rub a little to pick up product. The colour in a nice beige champagne shimmer. It's quite pretty and it can be used on its own, I prefer this colour in the warmer months when I wear lighter more shimmery colours. I have also used it as a little pop of shimmer on top of a powder base just in the centre of the lid. It can be used as a base, however I prefer to use other bases for that purpose. I apply it with my finger, as I find it blends better with the warmth. I don't have a problem with the longevity of it, however I am really just preferring to wear powder shadows. It is now Spring here, and if I find that I don't use it a lot this Spring and Summer I will probably declutter it. I don't think I will buy any more of these. I don't have a huge problem with them, I just have other products I like to use more. I have been using on of these for months now! I absolutely love how creamy and nice it feels when applying. The colour is so intense and last all night until the next morning. I generally apply it with my finger to give more impact to the shadow and it blends so nicely. I love being able to also carry it with me as its so small and discrete for touch ups anywhere. The texture is so lovely and it hasn't dried out for me yet! These cream eyeshadows are a cult classic for a reason. The formula is creamy and smooth, the metallic finish is not streaky or too sheer, and they are affordable. They're a great concept (easy to use, easy to apply & super versatile) that I haven't seen other brands pull off as well as they have. My only complaint about the concept of the product is the lack of colours - I would've loved to have seen some more neutral or pale shades, but it's a nice range nonetheless. Moving on to the product itself, the packaging is great for a cheaper brand, but the formula is not perfect. I have found that the product dries up relatively fast and it's a bit of a hassle to revive it, but the cream consistency works great on dry skin. I bought both shades and haven't stopped wearing them since adding to my make up collection. They are creamy, long lasting and doesn't crease or settle in fine lines. Can be worn as a sheer hint of colour or eye gloss or can be build up colour. Good as wearing as a base colour and to build up colour intensity or enhance an eye shadow you want to apply on the top. I've had this product for around a year and at first I wasn't sure what I thought of it. I applied it with a brush and found it went on very messily and unevenly. Since then I've just applied it with my finger and it works way better. It stays on pretty well and the colour payoff is good. Overall I like this product even though I find the consistency strange and hard to apply with a brush. I purchased this in Barely Branded for a base colour and I have to say the positive reviews on here and elsewhere really won me over. The creamy texture seemed easy to glide on and I was very excited to work with it since it had glowing reviews and I thought it'd make a great beginners eyeshadow purchase. Unfortunately, I hadn't expected how difficult it would be to blend in as I tend to use brushes instead of my fingers for makeup. It was quite frustrating as I have monolids and I need quite precise application as I don't have a lot of lid space. It wasn't as beginner friendly as I had expected and the concern of applying too much was definitely there. Regardless, it did look great and it lasted well but I'm not sure how often I'll be reaching out for it as powders are a lot easier for me. I have the shade barely branded and I love it so much. Its pigmented, smooth, easy to blend, and it lasts a long time without fading. It's a gorgeous light champagne colour and the shimmer in it isn't chunky at all. To be honest, it could probably be used a face highlighter if you wanted. This will always be my favourite cream eyeshadow. I highly recommend trying these, especially if you can get them on sale. I wear the the shade inked in pink nearly everyday and it truly lasts all day, it would probably make it to the 24hr mark if I didn't take my make up off at night. The colour is insanely pigmented and are so creamy that they blend out like a dream. I find they apply best by just using your finger and applying straight to the entire eyelid, then with a fluffy blending brush blend the colour out into the crease. If you pop some white eyeshadow in the corner of your eye it makes a really nice pink everyday look that makes your eyes pop. I love the colours, they are so pigmented and pretty. I love the packaging, it feels a little luxurious (such thick walls on the jar!). Wearing this on my slightly hooded lids... it transfers up to my crease/hooded part, and gathers in the fold of my lid. I haven't tried using primer to solve this issue, but I think it'll be necessary the next time I use this. I have this in 'Barely Branded', and I think it becomes lighter during the day? It looked more white a few hours later, than the nudish colour I had applied in the morning, so I recommend to only use this in the center of the lid to add some shine, not as an actual lid colour. This product is very creamy and easy to use- either with a finger or a brush. I personally prefer using my finger as I find the heat from my finger makes the cream shadow easier to blend. I heard that 'Barely Branded' was a dupe for Benefit's Watts Up, but i disagree. It is far too glittery to act as a nice, natural highlighter Watts Up is. May consider repurchasing if I'm looking for a metallic cream shadow, and will only be wearing for a short amount of time. Final touches on eye makeup looks. Don't try to use 'Barely Branded' as a highlighter. When it comes to makeup I am a high end user. The cheapest cream eye shadow I have used was the Clinique eye lid smoothie which is now discontinued. I am also using Makeup Forever cream eye shadow which I like ($36). I purchased a completely different colour from Maybelline during one of the Priceline 40% off sale. I haven't been interested in supermarket brand makeup items for a while but being constantly on the BH forum I just felt that I HAD to buy something during the sale (a case of FOMO). The colour I chose was "#25 Bad to the Bronze".  I did not have much expectation of this product - precisely because of this I was pleasantly surprised! The colour was quite easy to apply using just my finger. It stays on very well and it was long lasting. The product does not crease. The pigments are quite fine (the shimmer is not as fine as Clinique / Makeup Forever but for such a budget price I can live with that). It would probably be nice if the product is creamier, so that the blending and the product application is easier. At the moment I found this product quite "hard" in texture, and it could be a little challenging and time consuming to blend properly, especially when doing two different eye shadow colours. The colour "Bad to the Bronze" is great for the corner of the eyes. I found this colour to be too dark to use on my whole lid because I have fair skin. Overall I am very very impressed at the quality especially given the price of less than $10 while on sale. I had high expectations of this product but ended up disappointed. I though that this product would be great for either use alone or as a base for other eye shadows however neither worked for me. I found that within minutes of applying this creased very badly and became patchy. I tried applying it with my fingers, sponge and brush but nothing made any difference for me. I also tried it with different primers and without any primer but it was no use. Perhaps it has something to do with the fact that I have hooded eyes however I have tried a lot of other eye products and have never had this problem before. Not worth the money in my opinion. Who knew wearing one colour could be so effective? Guaranteed to cut your 'getting ready' time in half. 'Tis the Season for Party Peepers! Selected pharmacies, department stores, variety stores and supermarkets nationwide.